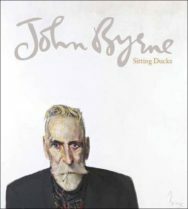 Playwright and artist John Byrne was born and raised in the Ferguslie Park are of Paisley. He attended the Glasgow School of Art from 1958 to 1963, where he won an art scholarship to Italy, visiting Assissi. 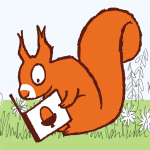 He married in 1964, and took a number of illustration jobs, including book jackets for Penguin books, record covers for bands including The Beatles, and a graphic artist for Scottish TV. In the late 60s he released a series of artistic works under a fake name, “Patrick”, which met with some success. He began writing in 1977. 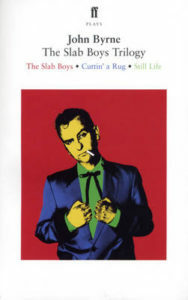 The Slab Boys is the first play in a trilogy, all set in a carpet factory in Paisley in 1957, and inspired by Byrne’s own experience as a ‘slab boy’ in the 1950s. 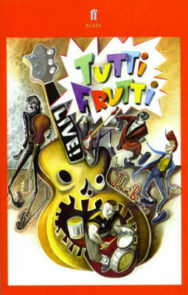 Tutti Frutti, written for the BBC, is perhaps his most successful work. He now lives in Nairn with his children. Some of his art, including portraits of leading Scottish figures such as Robbie Coltrane, partner Tilda Swinton, and Billy Connolly, are held by the Scottish National Portrait Gallery.